Plastic pollution in the ocean is a big deal. It’s already at crisis point now, but the problem seems to be getting worse before it gets any better. So it’s up to all of us to take steps against plastic pollution in the ocean. But how can you do that? After all, we rely so heavily on plastic that cutting out its use altogether seems almost impossible. Well, maybe almost, but not quite! There’s actually quite a lot each of us can do individually in the fight against plastic pollution. Here are some of our tips. 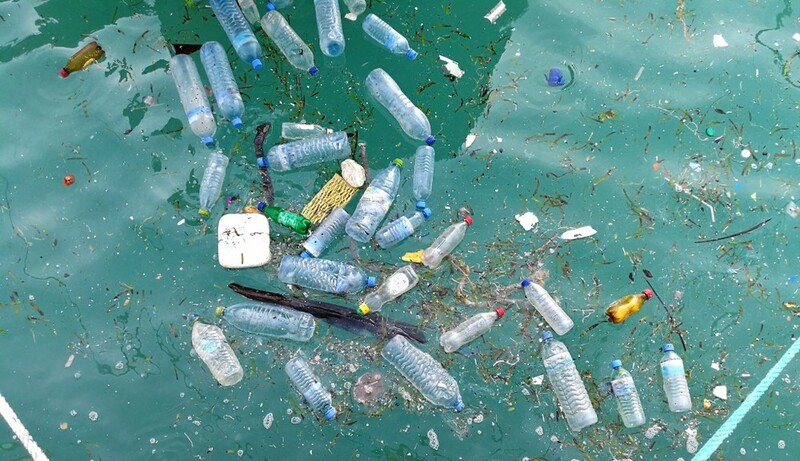 The first step to combatting plastic pollution in the ocean is to cut down on plastic use. Plastic is such a convenience, especially when it comes to water, but the cost to the environment is high. Luckily, when it comes to cutting down on single use plastic, we have options. The first is simple: get a water cooler. Water coolers offer pure spring water, just like the bottles, but with reusable plastic tanks. Buying those, as opposed to single use plastic, is a great way to keep plastic out of landfill. And if you can do that, you’re well on the way to cutting down plastic pollution in the ocean. Of course, we all know that most oceanic plastic pollution didn’t end up there on purpose. And in fact, most plastic pollution in the ocean was never left in the ocean in the first place. A vast majority of plastic pollution is initially dumped on the land. From there, it finds its way into the ocean, where it can travel great distances. It can also cause the marine environment great harm. Birds, fish, marine mammals, and everything in between all suffer as a result of oceanic plastic pollution. And to prevent that, we need to work harder on cutting down plastic pollution on the land. Plastic pollution facts aren’t the most fun, which may be why they don’t get much attention. But it’s important to know them, before we can stop plastic pollution. One particularly concerning plastic pollution fact is this: almost all fish on earth have a measurable quantity of plastic in their bodies. Almost all fish on earth. It may seem impossible, but micro plastics are largely to blame for that statistic. Cutting down on our use of them is paramount. So if we have to cut down on land based plastic pollution, what steps can we take? The best step is always recycling. Recycling keeps plastic out of landfill, where it simply doesn’t break down. It also means we have to produce less new plastic. If we can recycle plastic effectively, we can cut down on plastic pollution in the ocean. And recycling effectively is simply a matter of looking for the recycling instructions on your council’s website. They’ll have all the info you need. Finally, look to the future; teach kids all about cutting down on plastic pollution. By doing that, we can ensure that the mistakes of the past aren’t repeated. With kids on board, it won’t be a question of how, it’ll be a question of when we can eradicate plastic pollution in the ocean. If you would like to know more about stopping plastic pollution in the ocean, get in touch with So Fresh today!